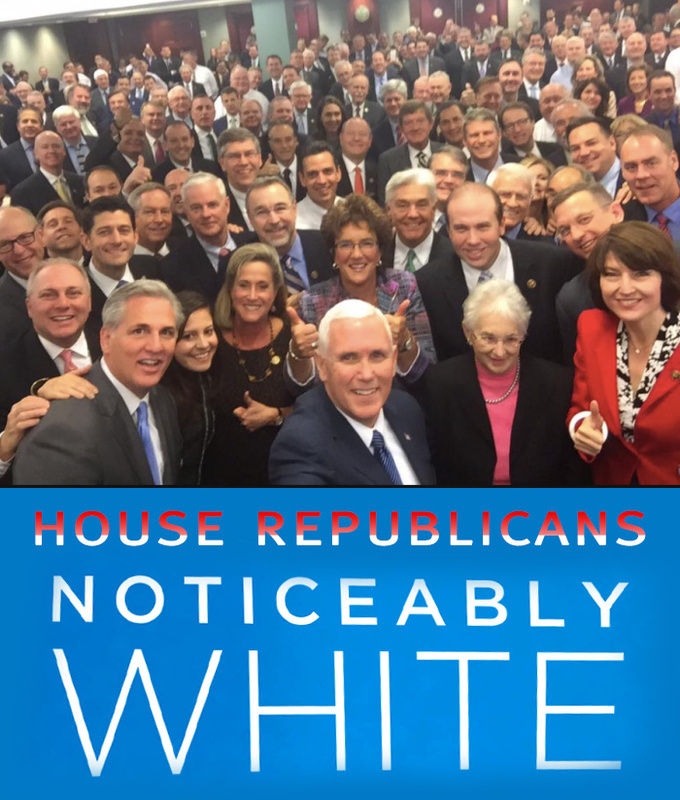 Vice-President Elect Mike Pence has joined House Speaker Paul Ryan to assure America that the Republican Party can get a noticeably whiter government in one easy election. Notice the one black man to the far left of the Republican party? He's in the very back of the room.